Jeff Siadek is promoting his new board game, World Conquerors over on Kickstarter, here. Alan Pollack has done the box cover, Tim Piotrowski did the map, and I did the card art and graphics. Below is the logo. 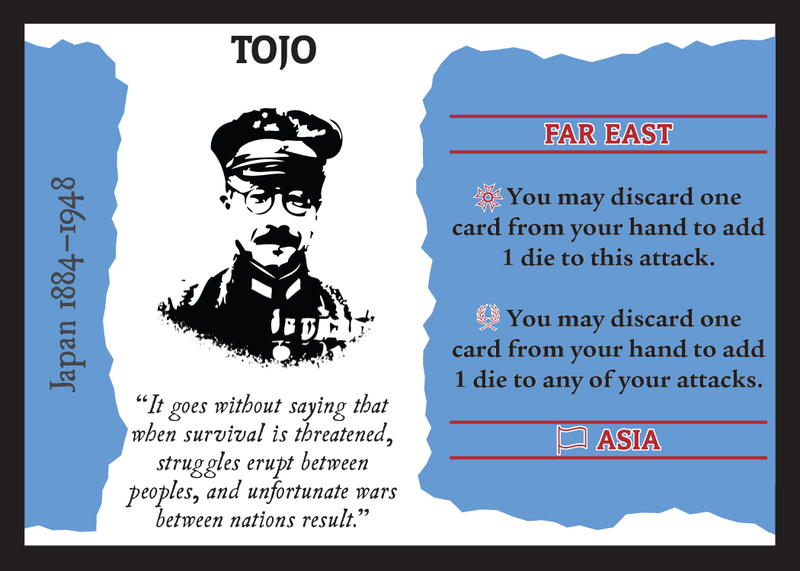 And here’s a sample card from the game. I’ve played the game once, been involved for about five months with graphics, editing, and so on. And now the game is about to get printed. It’s actually really fun. Fun enough for me to post the project on my site, despite being published by someone else. Check out gorilla games for more information.